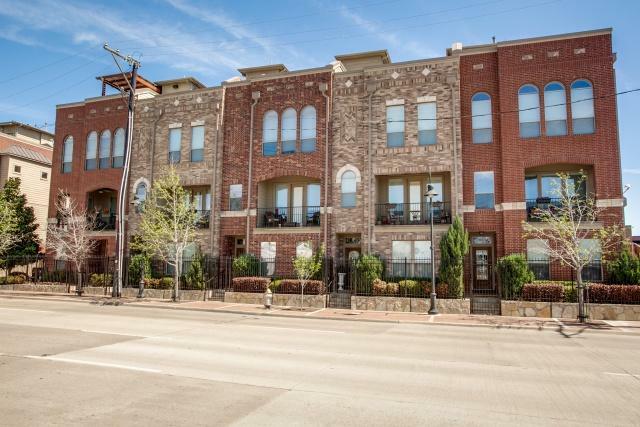 I have always loved these townhomes, which were among the first to go up in the Farmers Market area before the residential building boom this neighborhood has recently experienced. 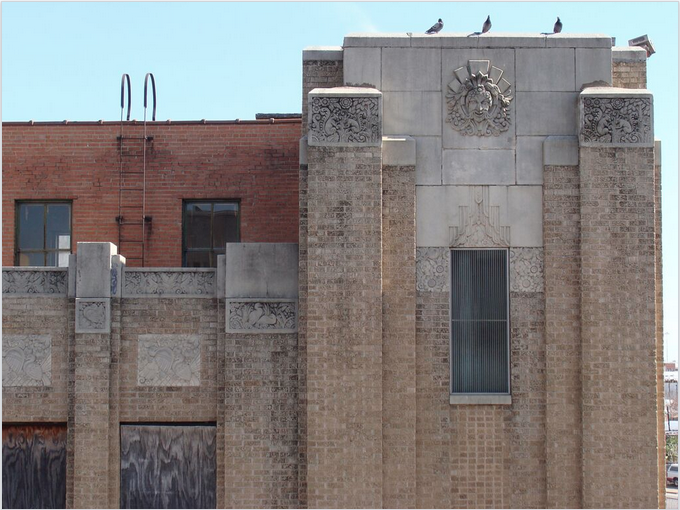 They are the first homes you can spot if you take Canton downtown on your morning commute, and they’re just past Bark Park Central, another favorite Farmers Market/Deep Ellum spot. 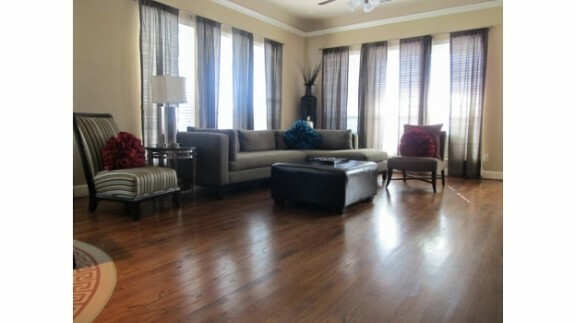 These townhomes go on the market so rarely, and they are often in excellent condition. 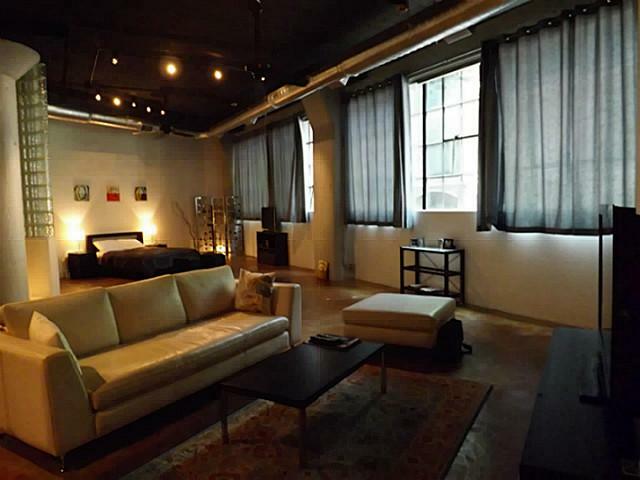 Unit 129 at 2205 Canton is no exception. 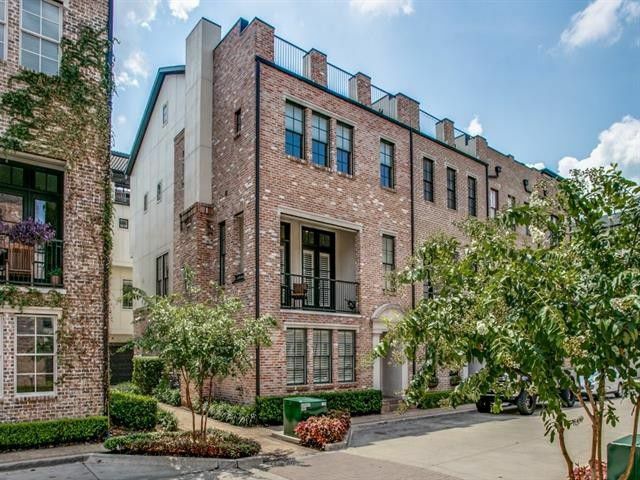 This gorgeous two-bedroom, two-and-a-half-bath townhome is warm and open, with faux finishes and cabinetry that evokes sunny Italian villas, with views of the Farmers Market and downtown. It’s marketed by Clay Stapp + Co. Realtors Rick Robles and Amy Galley for $389,000. 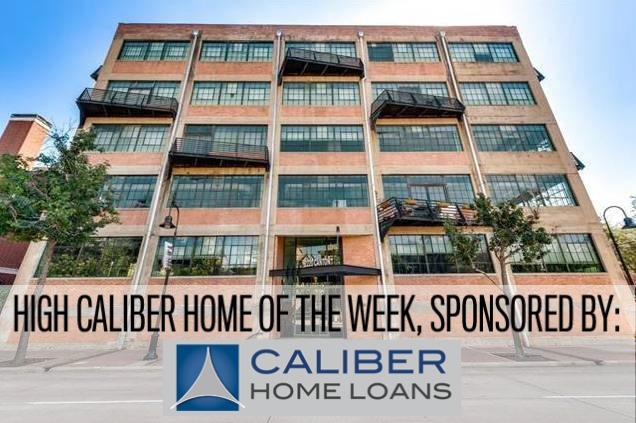 With almost 2,200 square feet, not including the rooftop deck that faces downtown with phenomenal nighttime views, this home is a fantastic spot for urban-inclined folks who want to downsize and take advantage of the incredible culture growing in this area. 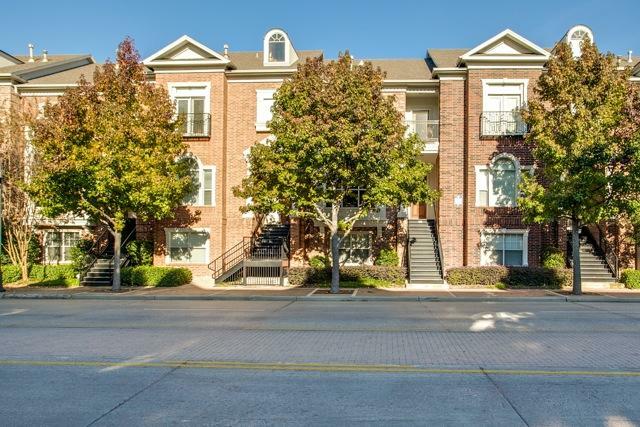 Something to think about: If Mayor Rawlings and the folks behind “A New Dallas” are successful, the value of these townhomes are going to go up like crazy. Why? Because Interstate 345, the crumbling interchange for I-30, US 75, and Woodall Rogers, will be demolished under the plan, resulting in more street-level traffic and more density in the area. This overpass is practically right next door. But if you want real selling points, this development has everything, including three pools, a basketball court, a gym, and a media room, so you’ll want for nothing. HOA fees are $123 a month, not bad considering the amenities and location. This development was built in 2001, too, so it benefits from being already established. 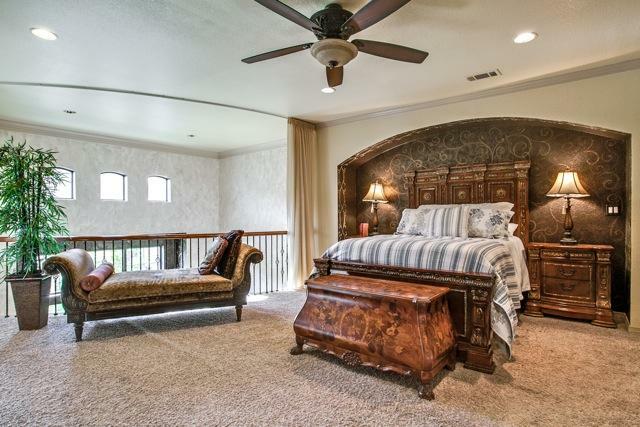 I love the master suite, and the great curtain the owners have installed to help screen some of the light that pours in through the two-story windows. 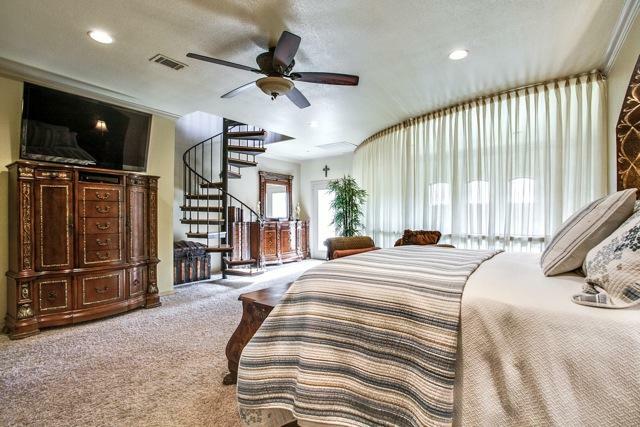 It’s a loft-style layout, which means you’ve got plenty of space, but thanks to the curtain, you’ve got privacy, too. The master bath is a five-piece number with dual vanities and plush accommodations, including a jetted tub. 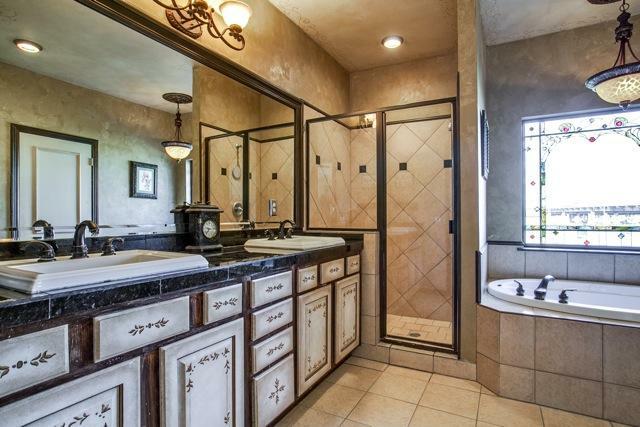 I usually like more understated bathrooms, but there’s something about the romance of the paint and tile that just hooks me and doesn’t let me go. 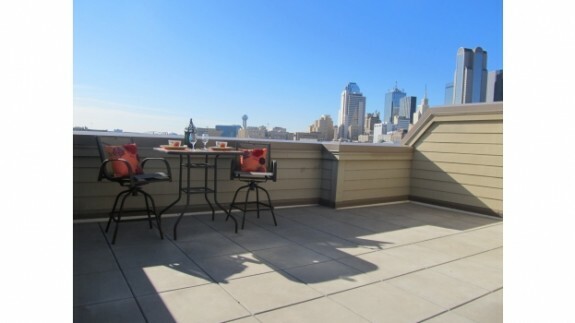 Of course, what’s not to love about the rooftop deck. Both open and intimate, this space was meant for a nightcap with your spouse or lover, just admiring the views of downtown. Nothing could be more perfect, right? Looking for great views? 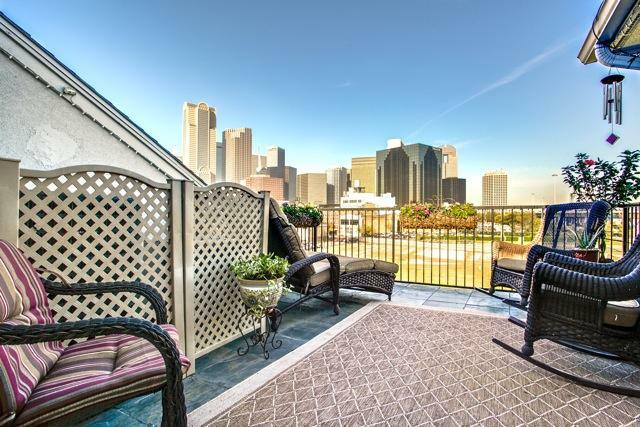 You can see all of downtown Dallas at sunset from this townhome's deck! So you’re thinking of downsizing, but you don’t want to move into any ol’ bland condo. Or perhaps you’re a young family looking to capitalize on downtown Dallas’ growing urban core before the prices get too ridiculous. Or maybe you’re a young professional looking to buy your first home in a hip, walkable area? 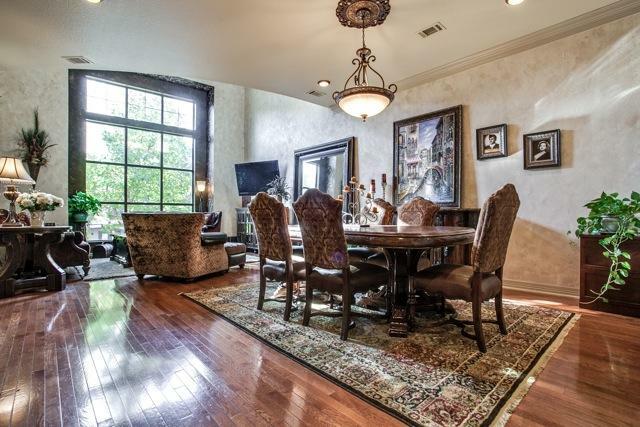 Regardless of which group you fit in, you’re not going to love this Farmer’s Market townhome at 912 Cesar Chavez Blvd. 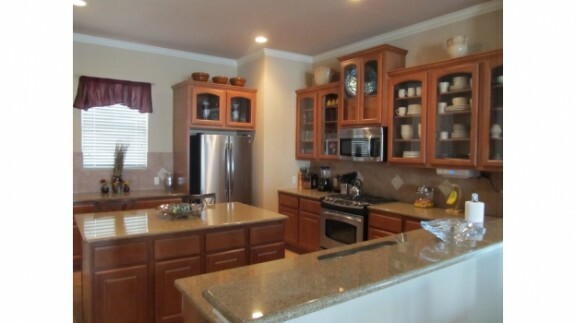 because of its updated kitchen with granite countertops and oversized island. 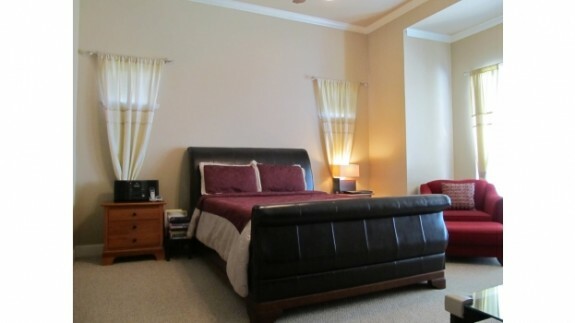 And the spacious master bedroom with equally roomy bathroom isn’t going to be what reels you in. 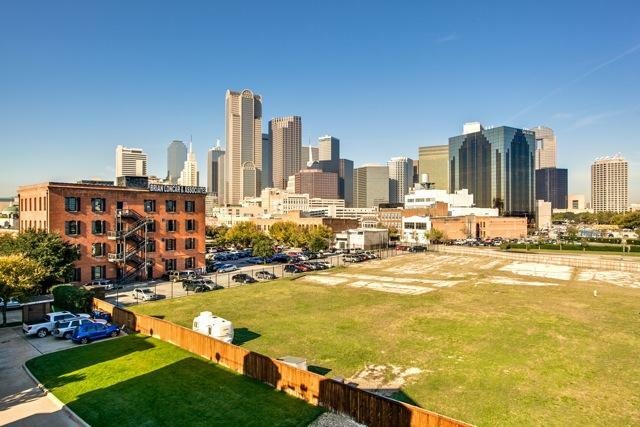 No, it’s going to be that gigantic, 590-square-foot rooftop deck with 360-degree views of the city that will have you at “hello.” According to the listing from Dave Perry-Miller’s Lance Blann of Big D Living, this rooftop deck is quite possibly the largest one in all of Dallas. 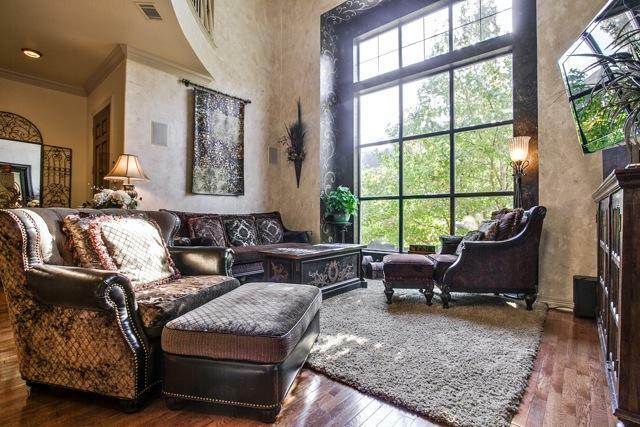 There’s also a petite balcony off the living room, which is perfect for entertaining. 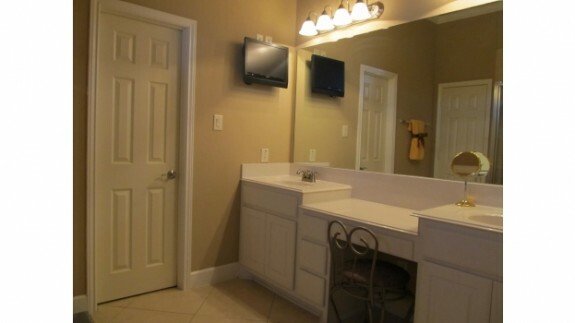 Now, I know our readers will see that, yes, this three bedroom, three-and-a-half bath townhome has an awesome deck and beautiful wood floors, but I am having a little trouble with the TV in the bathroom. Is this a thing? Tell me it isn’t! 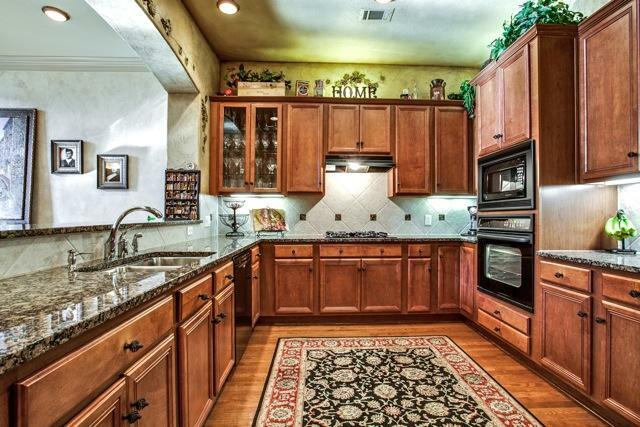 In any case, this adorable townhome has all of the perks of a single-family home with none of the lawn to mow. And it’s a very reasonable $389,000!